The following checklists are all standard US letter paper size. 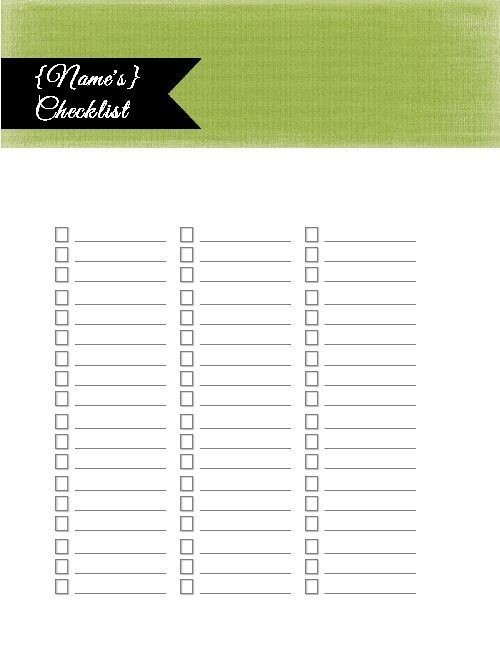 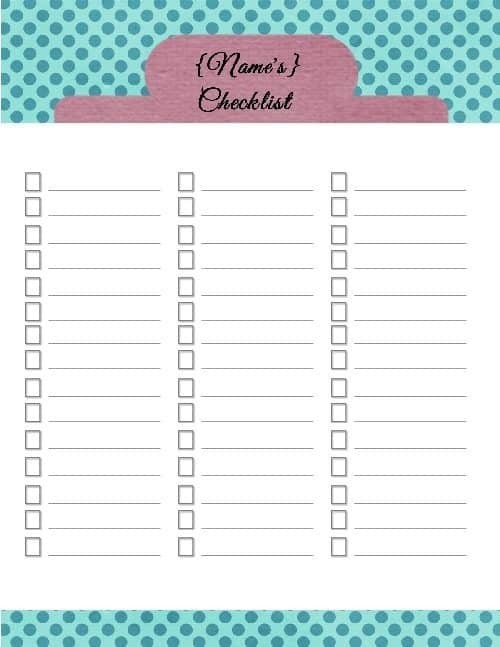 If you would like to print a checklist in any other size or to fit most planners then select your planner size. 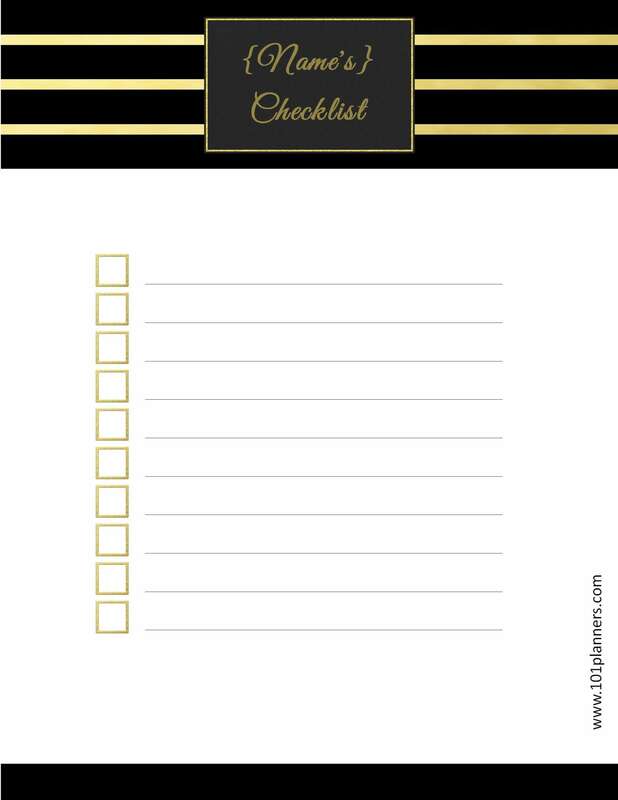 Choose a checklist template below in order to customize your own checklist. 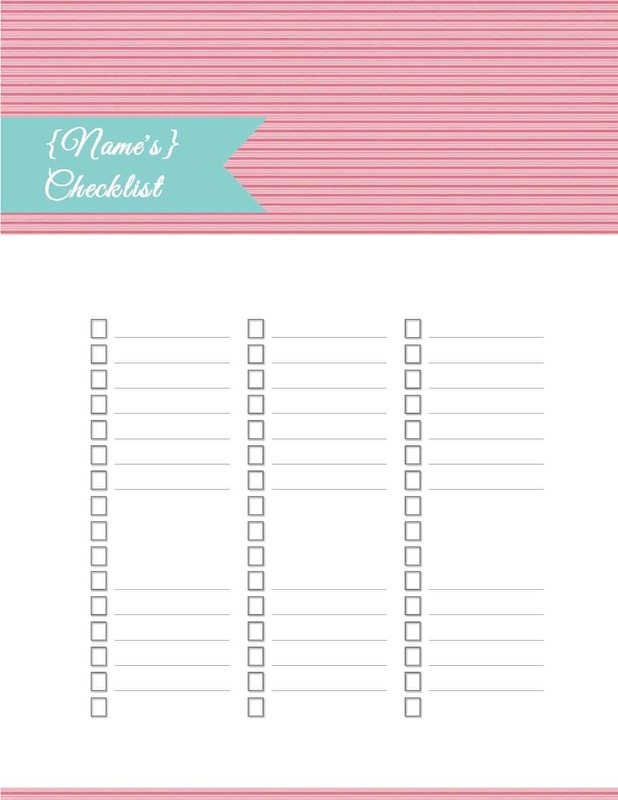 If you don’t want a border or background then you might prefer our blank Word checklist templates. 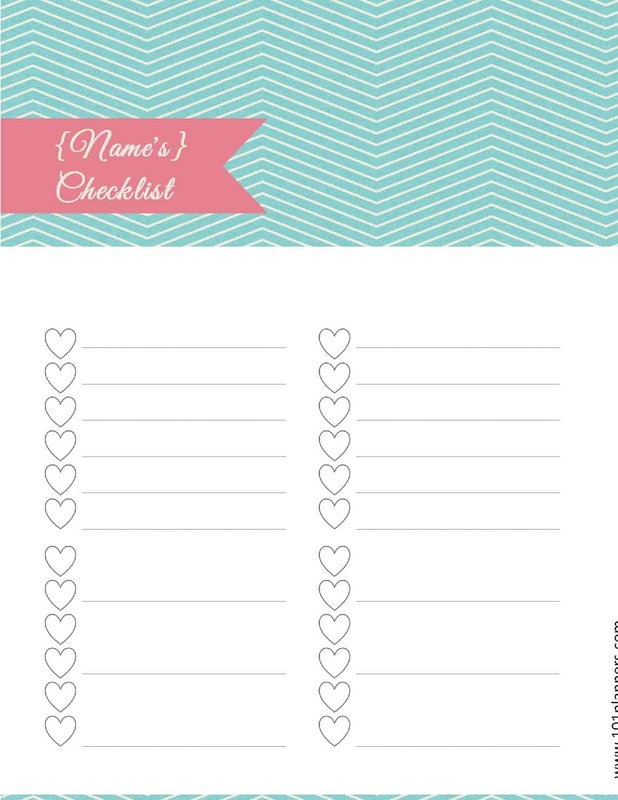 These printables can keep you organized and help you keep track of various things. The title is totally customizable so they can be used for any purpose. You can also determine the number of columns that will appear and the checklist icon. 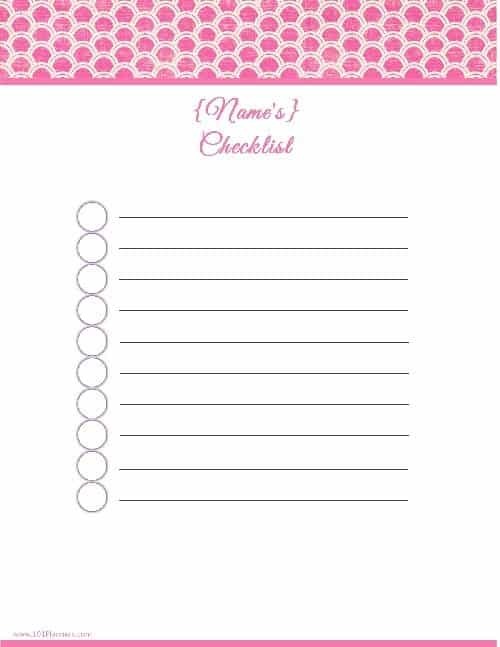 If you want to fill out the list before you print then just click on add text to add text before you print. 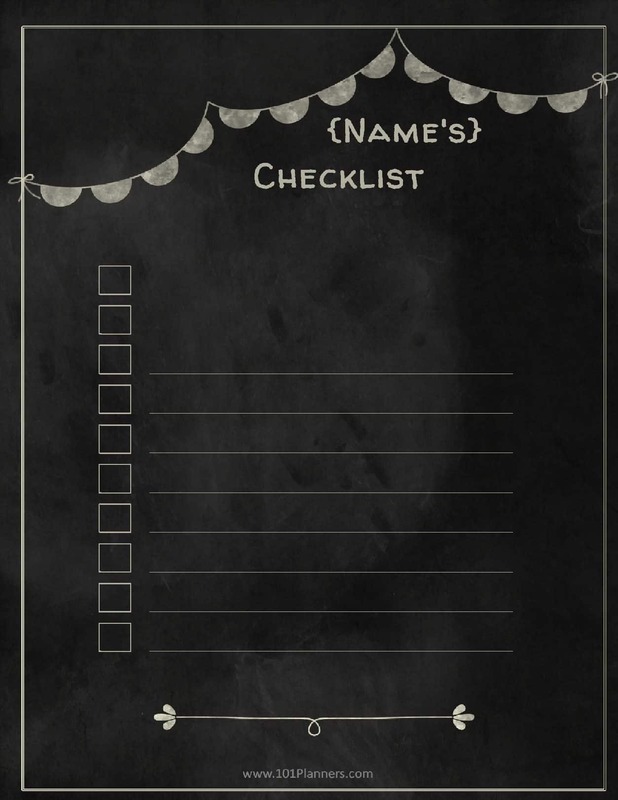 Type the text that you want to appear and then drag it on top of the line. 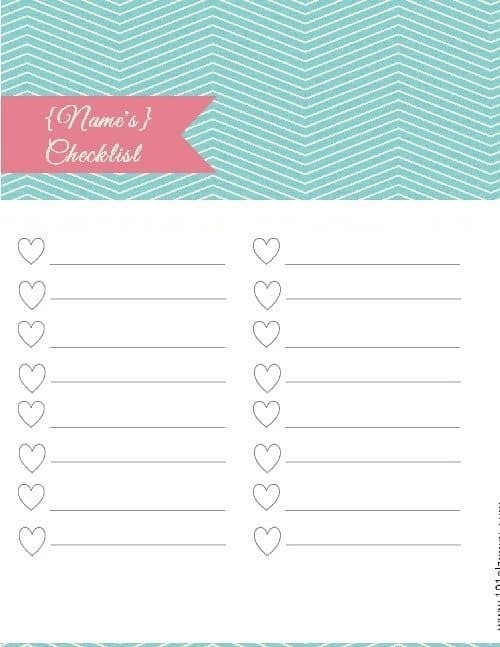 You can also just fill out the list after you print it in your handwriting. We offer many different checklist templates that can be customized to create your own checklist. 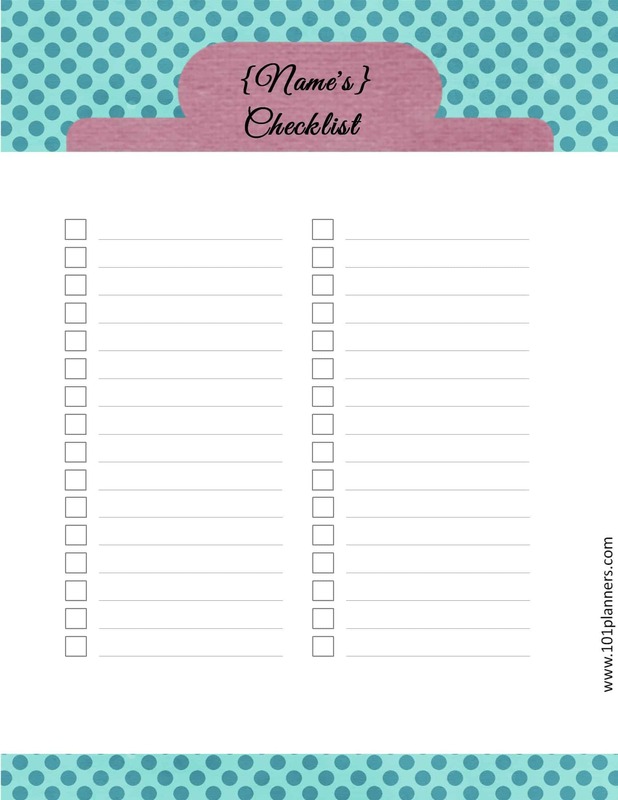 You get to choose the design, how many lines and how many columns will appear on your checklist. 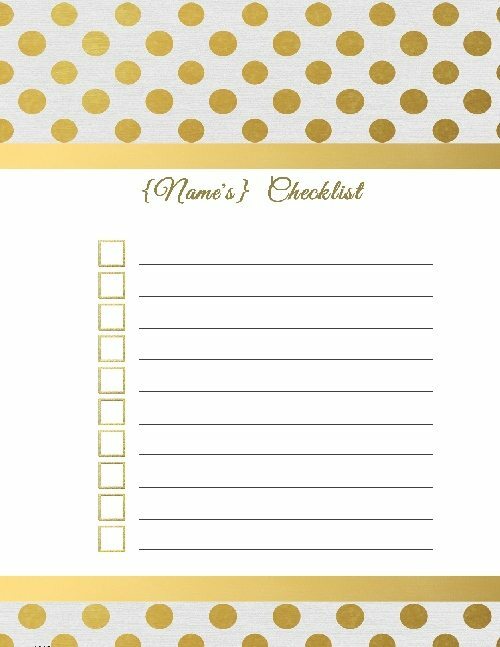 You can then personalize it to ensure that it is fully customized just for you! 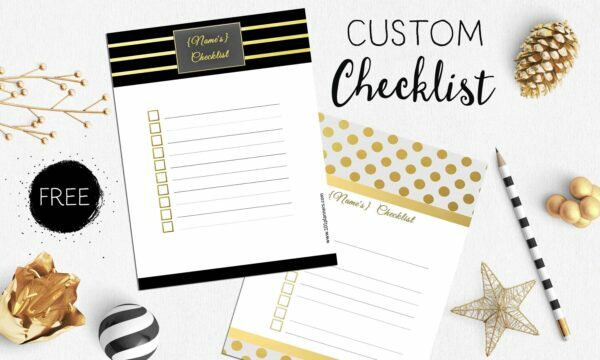 Either select one of the designs above or use our checklist maker with 101 different designs available. We have many designs available. 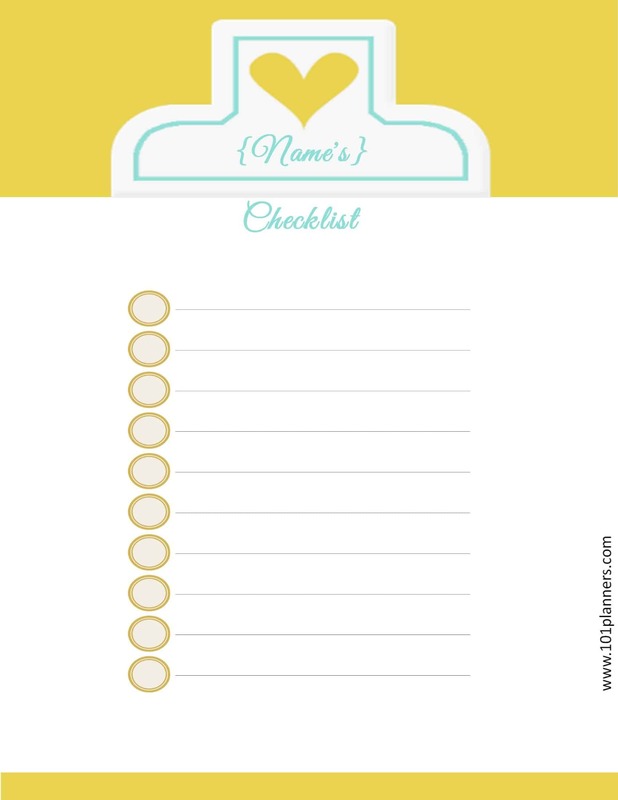 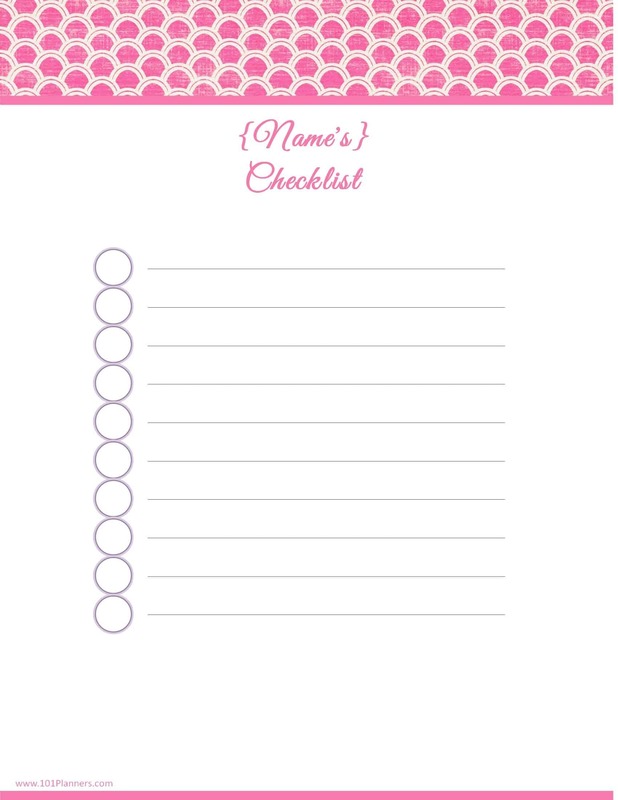 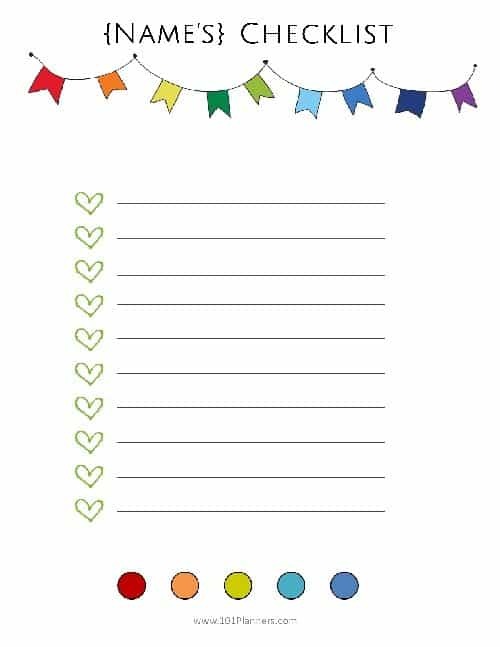 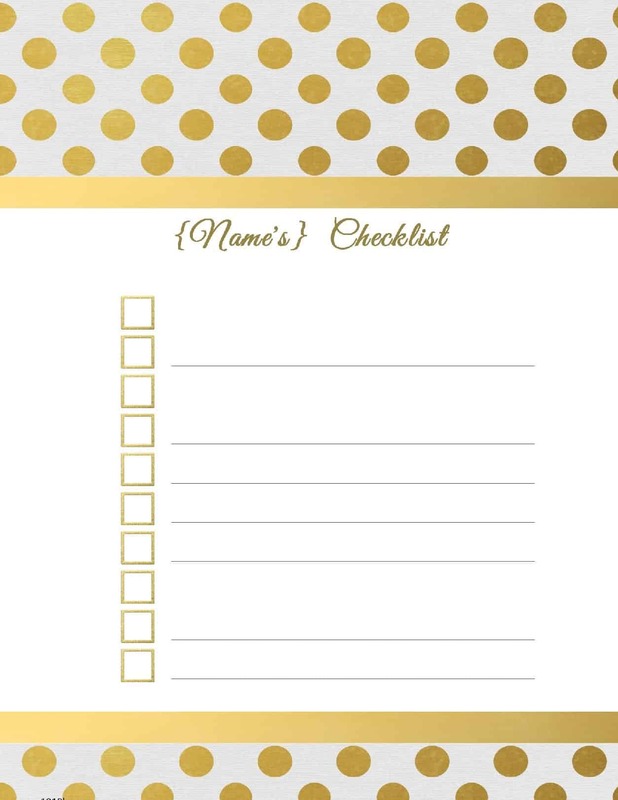 Just choose the design that you want to use and start creating your own printable checklist! 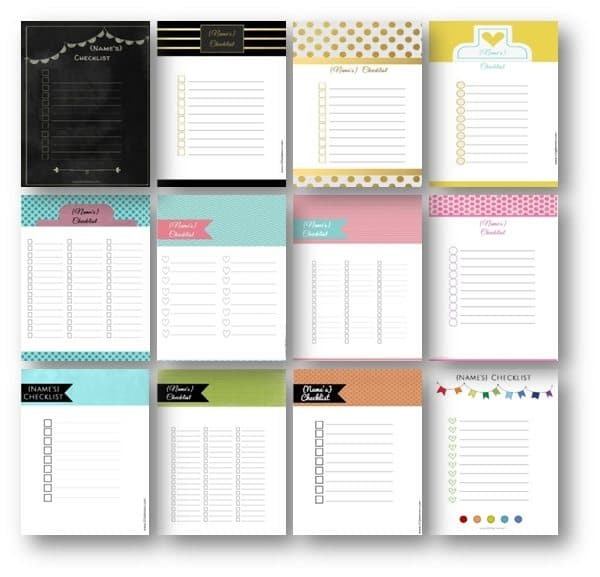 This is just a sample of the designs available. 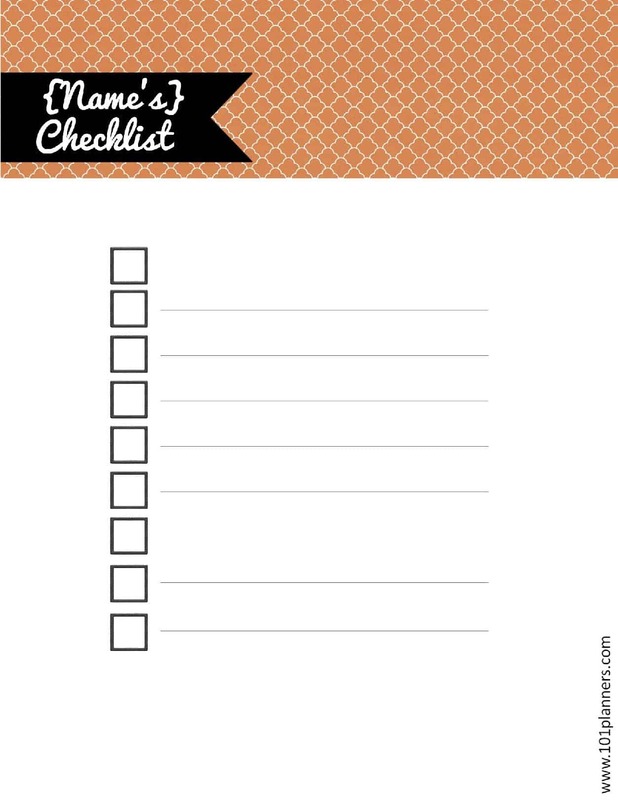 You can change the contents of the checklist. 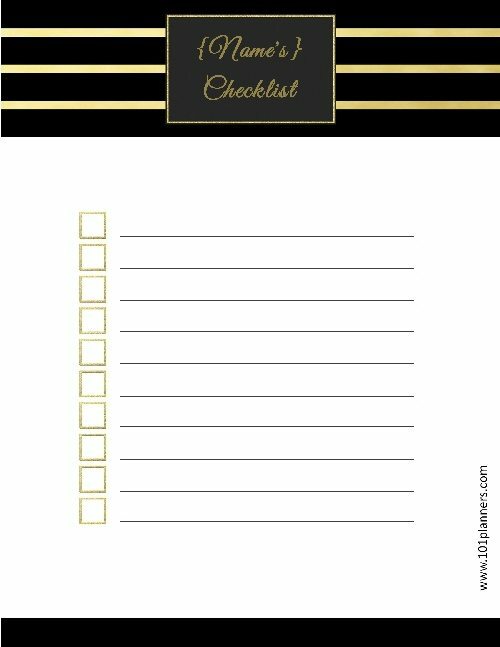 We have many checklist templates with different icons and various numbers of lines and/or columns to create a checklist perfect for your needs. 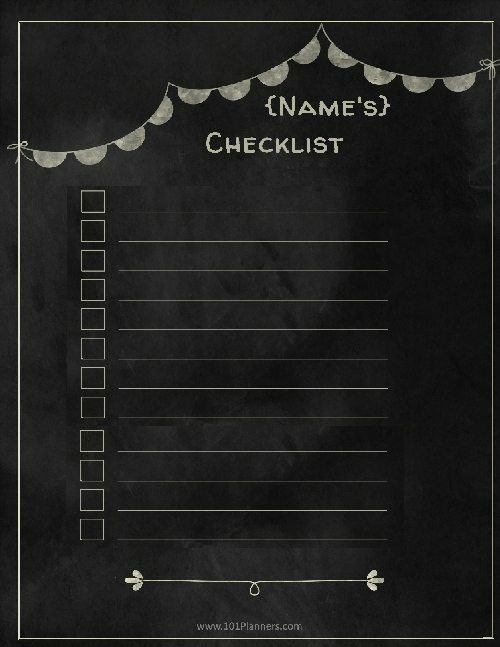 Type the title that you would like to appear. It can be your name, wedding checklist, moving checklist, etc. 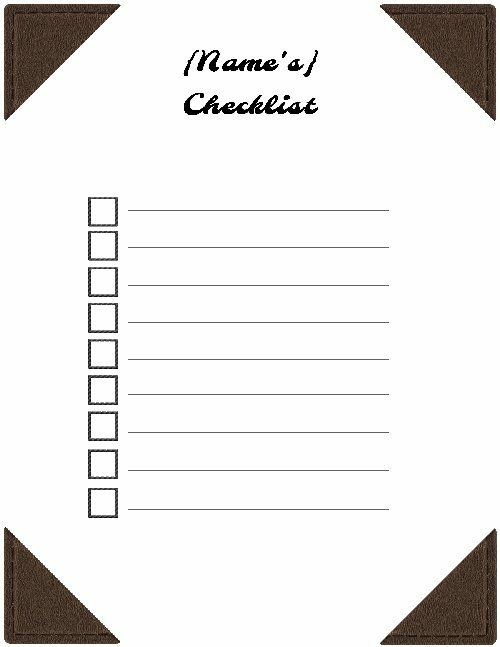 You are then free to print as many copies as you want. 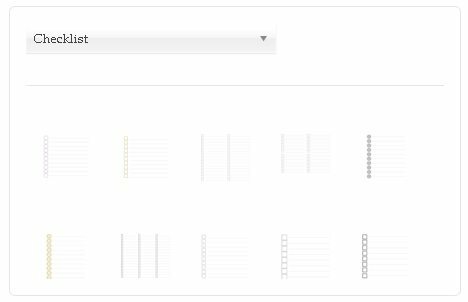 It is totally free! 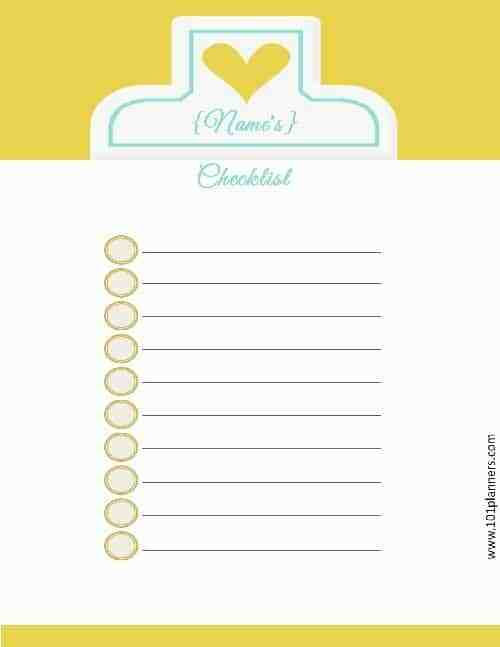 You can also make different checklists for different purposes.